Grantmaking supported organizations that worked to modernize how elections are administered; protect voting rights; reduce the amount and power of money in politics and enhance the transparency of contributions; protect judicial elections from the undue influence of money; and reduce partisanship in Congress. From 2012 to 2017, we made 45 grants totaling $31.3 million. Our approach was to make multi-year grants to a set of institutions working on campaign finance reform, elections administration, and voting rights, through three national election cycles. From 2012 – 2017, we awarded $31.3 million to 45 organizations. We built an evolving strategy that reinforced a field of organizations committed to improvements in campaign finance, voting rights, and the integrity of the election system itself. 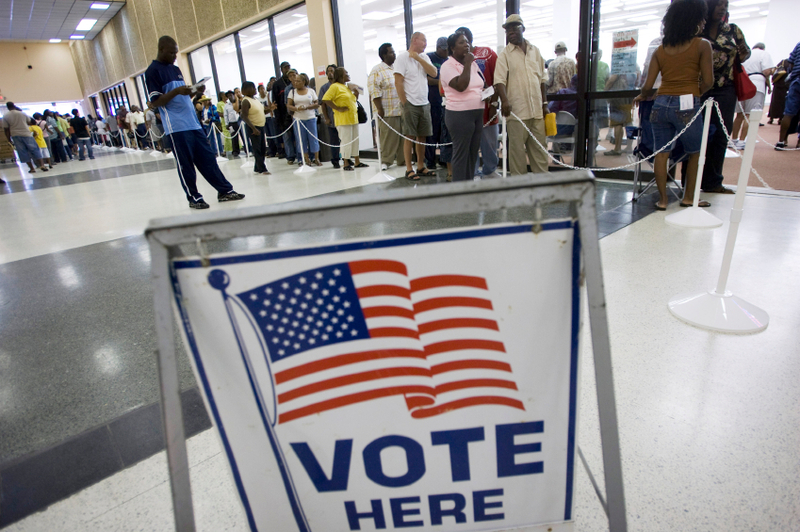 In the United States, principled and skilled nonprofit democracy organizations work to protect the voting rights of citizens in the face of mounting, disturbing attacks; advocate for basic disclosure in the runaway campaign finance industry; and ensure that administrative oversights do not undermine effectiveness of the country's elections administrations systems. Advocate for regulation, public dialogue, and programs to lessen the influence of money in politics. The first group of grantees in March 2012 included the Center for Responsive Politics, known for its comprehensive databases and research on money in politics, particularly federal campaign contributions and lobbying networks; and the National Institute on Money in State Politics, which compiles campaign finance data for thousands of state-level candidates and develops best practices for transparency. Both organizations offer training to journalists seeking to understand the labyrinthine paths of political influence and donations. A later partner was MapLight, a source of data showing what it calls a "pattern of influence" between campaign money and government policy. We supported the Campaign Legal Center, which tracks the burgeoning array of state laws on campaign finance and voting rights, launching court challenges to measures likely to narrow the franchise or tilt the political playing field away from ordinary citizens. The Democracy 21 Education Fund received support for its work in favor of campaign finance reform, and the Democracy Program at the Brennan Center for Justice for its multidisciplinary research, legal, and communications work in favor of voting rights, campaign finance reform, and equitable election processes. We supported the ACLU Center for Equality for its work on voting rights, and Justice at Stake, which aims to reduce special interest pressure and partisan attacks on the judiciary. The program also contributed to the work of the Aspen Institute's Congressional Program, designed to inform lawmakers and encourage open discussion beyond Capitol Hill. Voting rights, particularly for citizens of color, were at the core of a group of grants announced in August 2012. Mindful of intensifying efforts by state legislatures to impose stricter regulations under the guise of virtually non-existent voter fraud, we supported an array of organizations that labored to make voting more accessible and fair. These groups included the League of Women Voters Education Fund, the "next generation civil rights organization" Advancement Project's Voter Protection Program, and the Lawyer's Committee for Civil Rights Under Law, as leader of the Election Protection Coalition. More efficient voting systems would mean shorter lines and less confusion on Election Day. Sharper ballot design plus more secure and reliable voting machines would increase the likelihood that every vote will be counted. The program supported the Verified Voting Foundation, a group focused on safeguarding elections in the digital age, and the Humphrey School at the University of Minnesota's Election Academy created Field Guides for Ballot Design for use by elections officials. Democracy Works aims to increase turnout by streamlining voting procedures and helping eligible citizens vote by sending alerts, or reminding them to vote by mail. 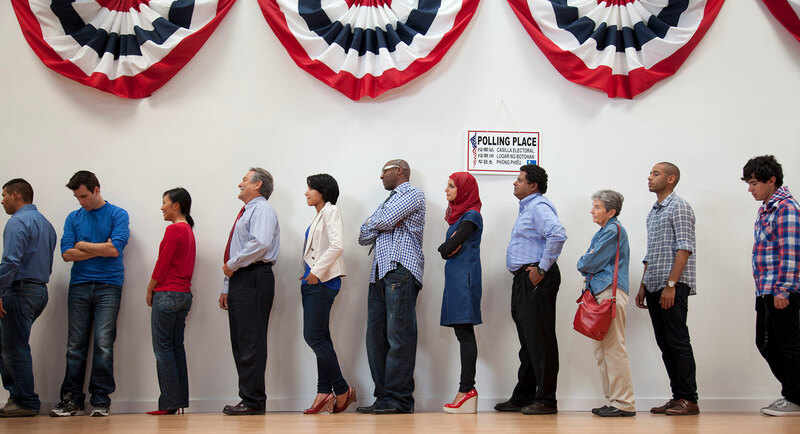 We supported Project Vote's Elections Administration program, created to remove barriers to registration and voting, as well as the ambitious elections technology project run by the National Conference of State Legislatures. The Pew Charitable Trusts' Election Initiatives developed a network of county and state elections' officials, major technology companies, academic experts, and others who work together to examine pressing elections problems, share successful practices, and undertake projects to help states implement efficient and cost-effective voting process improvements. Support to the State Infrastructure Fund at NEO Philanthropy allowed us to work with other foundations to support a set of organizations working at the state and regional level in support of civic engagement and voting rights. After the Supreme Court invalidated Section 5 of the Voting Rights Act in the Shelby County v. Holder decision of 2013, it became apparent that there was a growing need for more oversight of voting law changes, and for a response on the part of the legal community. In December 2015, we provided $1 million in inaugural support to help establish the Voting Rights Institute, developed by the Campaign Legal Center and American Constitution Society and housed at Georgetown University's Law School – the United States' first and only legal clinic devoted to voting rights. The Institute's website allows people to report voting law changes in their communities, and Institute staff provide trainings for attorneys across the United States to develop the next generation of voting rights attorneys. In 2014, the Campaign Legal Center received a MacArthur Award for Creative and Effective Institutions grant to apply their legal expertise to reduce the corrosive influence of money in politics. Over the course of this program, we were privileged to collaborate not only with effective organizations addressing these challenges, but also with a variety of visionary funders, including the Hewlett Foundation, Rita Allen Foundation, Democracy Fund, Rockefeller Brothers Fund, Bauman Foundation, Pew Charitable Trusts, and many others. We were pleased to see a new funding ecosystem for this work take shape and to help document its evolution in a project with the Foundation Center, Foundation Funding for U.S. Democracy, a data visualization platform for funders, nonprofits, journalists, and anyone interested in understanding philanthropy's role in U.S. democracy. For those seeking funding for new work related to American Democracy, we encourage use of this resource. Though grantmaking was brought to a close after this five-year engagement, we remain dedicated to strengthening American democracy in all aspects of its work. The Enduring Commitment to Journalism and Media is focused on strengthening democracy, accountability, and civic engagement by supporting a strong and independent U.S. media ecosystem. The Big Bets on Criminal Justice, Climate Solutions, and Nuclear Challenges, in the years to come, will deploy every resource available to engender governmental responsiveness on these critical issues, consistent with the needs of a pluralistic and inclusive American democracy.